The Wise Women Awards recognizes the contribution that Christian women have made in the church and wider society. Pastor Marjorie Esomowei of Wisdom for Women International, has always had a heart for women. In her role as co-pastor of Triumphant Church International (TCI) in Tottenham, north London, Pastor Marjorie has, mentored, coached and served Christian women through her ministry. A good majority of Nigerians all across the country attend church in various denominations. Of this number, approximately 65-70% are women of all ages. Women play a major role in the Nigerian churches and in our community as a Nation. Through their work as volunteers they run or actively participate in the many ministries within the church and community. Women also serve on the leadership teams of churches and NGO’s where they are given the opportunity to exert their influence. Its with this facts in mind that the fourth Nigerian Wise Women Awards 2016, will be held in Nigeria @ Four Points by Sheraton Lagos, Plot 9/10 Block 2, Oniru Chieftaincy Estate, Victoria-Island, Lagos, Nigeria on Saturday 25th June 2016 @ 3pm prompt. The Wise Women Awards 2016 will provide Christian women from across the denominational spectrum and across Nigeria with an opportunity to be recognised and nominated for their contributions in the world of work, business, media, sports and church and win an award. Pastor Marjorie Esomowei, the founder of Wisdom for Women International is the founder and brainchild behind the prolific Wise Women Awards, which it founded in 2004 in the United Kingdom to highlight and recognise the achievements of Christian women within the church and wider society. 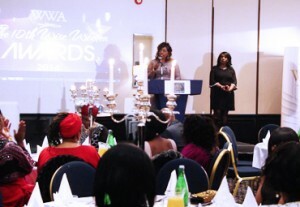 It is Pastor Marjorie’s aim that the Wise Women Awards becomes, as it is in the United Kingdom, recognised for acknowledging excellence and achievements.